The RT Tri-Pouch System is 3 distinct pouches, Has great adhesion to the textured dash at highway speeds. 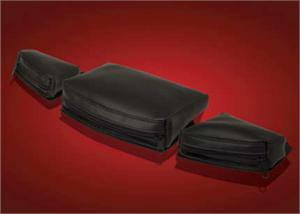 This Tri-Pouch is made from all weather marine vinyl for long term durability. The large center compartment is 9" x 6" x 2", which is large enough to accommodate almost anything you need quick access to. 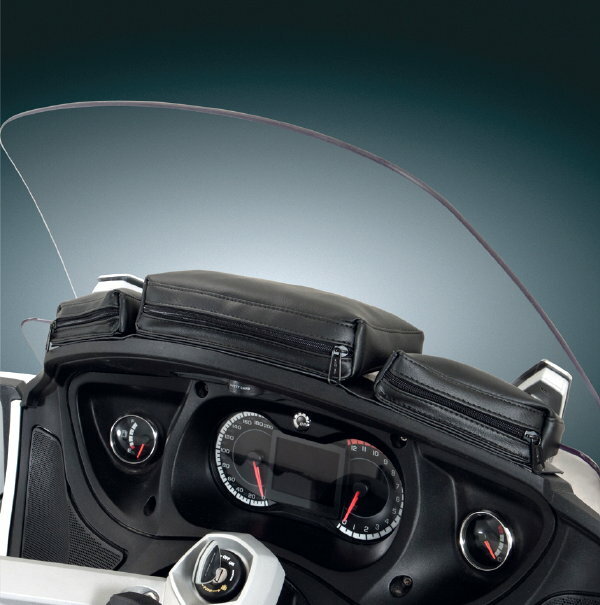 Each side compartment is 5" x 4" x 1.5", providing 150 cubic inches of secure storage on your dash. The pouches close with a zipper to insure nothing falls out while riding. 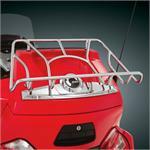 The pouches are permanently stitched to a base that attaches to the bike dash with hook and loop.